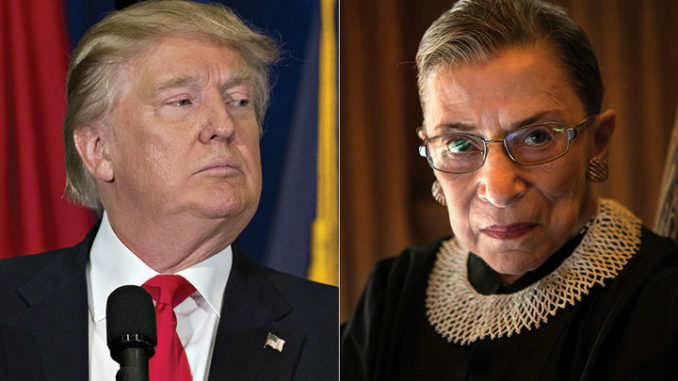 President Trump is preparing to pick the next Supreme Court Justice nominee as Ruth Bader Ginsburg looks set to retire this year. Rumors of Ginsburg’s ill health have been circulating for months now. However, according to sources in DC, Justice Ginsburg’s ill health has deteriorated so much that she can no longer attend court. Dcwhispers.com reports: Word is some Democrat operatives have become so desperate as to demand President Trump be politically “cut off at the knees” so that said appointment never happens.